My '64 Falcon (Econoline) daily driver. Bought it in Jan '14 from a guy in AZ as a solid driver with a sweet running 200. 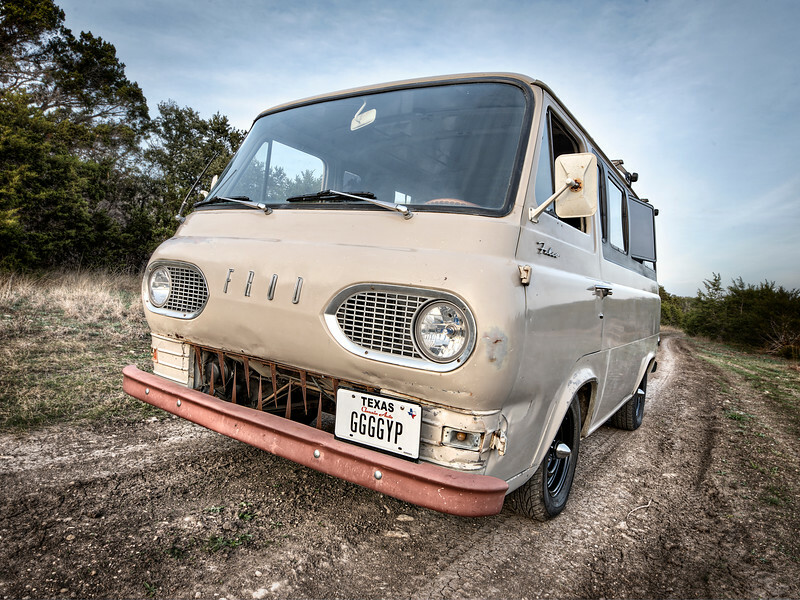 The only "restoration" with be focused on mechanical, otherwise it will remain a "rat" van, but with a bias toward comfort and practicality where it matters for daily use. Currently lowered by removing leafs, but plan to move the axles over the springs soon, hopefully this summer. Next project will be adding red flames, with a faux 'patina' applied.